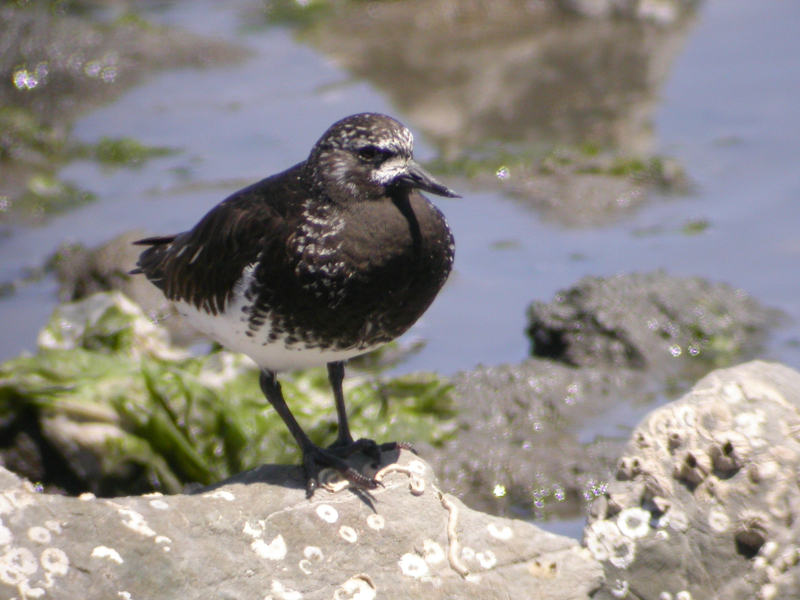 The lores of the Black Turnstone show white in alternate plumage. They winter here, but breed in Alaska. Seen only on the West Coast.